November, 2015 Faculty Position Search: Assistant Professor in Groundwater Hydrology at the University of California Riverside (see details). Evaluation of applications will begin on January 6, 2016, but the position will remain open until filled. 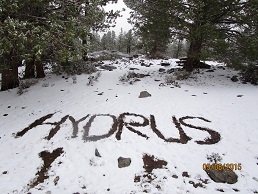 June, 2015 Postdoctoral Researcher position available at UC Davis in Vadose Zone Flow and Contaminant Transport Modeling (with HYDRUS) (pdf). Search closed. May 17, 2015 Anne Hartmann has developed the Root Growth module as a supplemental module of the HYDRUS software package (both Hydrus-1D and HYDRUS (2D/3D) to model the root growth as a function of different environmental stresses. Check it out. May, 2015 Note that the recent UCODE user manual (a general optimization code; Poeter et al., 2014) provides instruction on how to link it with both Hydrus-1D and Hydrus (2D/3D). April 8, 2015 Congratulations to Jirka on his 250th peer-reviewed journal article (Bradford, S. A., Y. Wang, S. Torkzaban, and J. Šimůnek, Modeling the release of E. coli D21g with transients in water content, Water Resources Research, 51(5), 3303-3316, doi:10.1002/2014WR016566, 2015.). Not dated, 2015 As usual, we are planning several courses for 2015 (e.g., Prague (Czechia, Europe, sold out), Golden (Colorado, USA), San Luis Potosí (Mexico), and Sede Boqer (Israel)). More details.